Lets discover the best DJ equipment available to beginners and learn exactly what to look for and what to avoid. I've added some top recommendations and cover everything from bedroom DJing equipment to gear for mobile DJ's. When you decide to buy your first set of decks or digital DJ software, you'll be eager to buy all of the kit and start learning to mix asap. With so many brands available, buying DJ equipment can be very tricky. I've met so many people that have made the mistake of buying poor quality kit without doing any research first. I almost made the mistake myself! The first time I ever used a set of turntables was back in 2001. The decks were belt driven and very cheap, and the mixer was very simple, cheap, and had a leaky crossfader. The set up couldn't have been any worse if I wanted it to be. Thankfully that kit belonged to a friend of a friend, but at the time I thought it was awesome! I thought damn, I've got to get me some of these. I almost bought the whole set up off him, but luckily ended up buying a motorbike instead. The point I'm trying to make is that being keen can lead to bad decisions. Especially when buying DJ equipment you've never dealt with before. It's worth taking some time to find out what kit will last you the longest. What kit will grow with you as you learn new skills. And if you plan on progressing to playing at clubs, what kit is being used by the pro's. 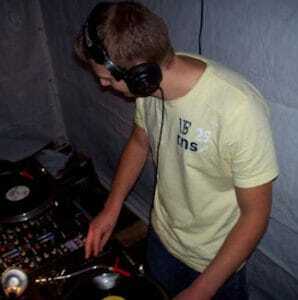 When I did eventually but a set of decks I bought budget Numark turntables, a budget Numark mixer and budget headphones. The kit was good considering the budget that I had at the time but I soon sold it... I wanted to practice on the same kit that was being used in clubs I wanted to play at, so that's what I bought. It's OK to buy cheaper gear but buy wisely and don't rush into it. If you're planning on buying DJ equipment on a budget, see my buyers guide for all budgets > HERE. The article has some great recommendations and you're sure to find what you're looking for. If you want the best kit available then follow the advice and tips in this article. You can buy the right kit now and you'll avoid buying twice. This article recommends the best quality equipment that has proven itself as reliable and built to last. So if you want to buy cheaper kit please see the other article. Read on to avoid buying twice, like I did! 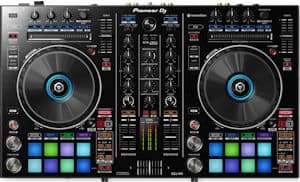 Pioneer do some great beginner DJ equipment like the DDJ-RB controller that made my list of the top 10 controllers for 2018. Full review here. There is a reason that Pioneer is the industry standard, it's proven itself as being the best DJ kit available. If you want to become a club DJ and use separate independent players Pioneer is a great way to go. 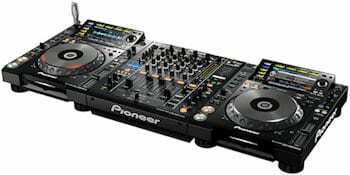 The Pioneer CDJ-2000NXS2 players, along with a DJM-900NXS2 mixer, are the industry standard and you'll find that any decent club will now use these. It doesn't take long to get yourself club ready. I've known people reach a decent standard of DJing within 6 months. So if that's the direction you're heading, think long and hard. You don't want to buy twice if you can avoid it. If you practice on the same kit as you'll be using in clubs you'll never have issues of unfamiliarity. So bare this in mind when buying your first DJ set-up. But that's not to say you have to buy top of the range equipment to make it as a DJ. There are lower priced (but still high quality) multi players that will help you to progress to a club ready DJ. If you're planning on starting a mobile DJ business separate players and a mixer will not be necessary. But you still want to make sure you have good reliable kit. 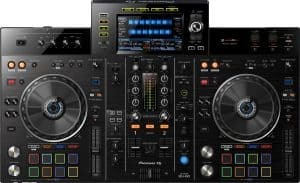 You'll most likely want to buy a DJ controller as these offer the best value for money and make kit transportation much easier. You can check out my list of the top controllers available to you > HERE. Or check out my guide to setting up your own mobile DJing business HERE. Two controllers featured in that article are these two awesome Pioneer controllers perfect for the mobile DJ. Pioneer make a great range of controllers that are great value for money like the Pioneer DDJ-RR. This controller makes mixing a breeze and even comes with pioneers Rekordbox DJing software with a simple plug and play option. Rekordbox can be used for playing tracks directly from a computer, auto mixing, scratching, looping, FX and more. They also do the slightly more expensive Pioneer DDJ-SX2 that comes with serato DJ software. Again this software can be used for playing tracks directly from a computer, auto mixing, scratching, looping, FX and more. Both of these controllers will cater for the needs of any full time mobile DJ, they're great value for money, and make your kit easier to transport. You'll also need some quality DJ software to use alongside the controller. Some controllers do come bundled with software, like the ones above. If not Serato DJ or Traktor PRO 2 are my recommendations for live mixing. My article comparing the two is HERE which will help you decide on the right one for your specific needs. If you're planning on staying in your bedroom or just doing house parties, you'll be fine with less expensive equipment. 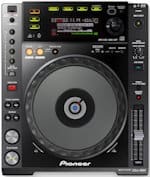 Pioneer do a fantastic entry-level CDJ-850k (pictured below) which allows you to play music from CD's and USB devices. Or you can connect to your PC or laptop to play directly from your library. It has a digital display with timers and track name, and you can scratch and add loops etc. It has all a bedroom / house party DJ could possibly need and comes in at around a quarter of the price of the CDJ-2000NXS2. It has built in FX you can play with, the faders are perfect and everything just feels, looks, and works nice. Plus you can control 4 different channels. For example, you could control 2 CD decks and 2 turntables rather than buying a more expensive 4 channel mixer. If you wanted to stick with Pioneer, another option might be the Pioneer DJ DJM-250MK2. With a built in sound card you can record mixes directly to your computer. It comes Rekordbox DVS enabled and a free licence key (we'll talk more about DVS later). You get a nice simple layout, 3 band EQ, and the added reassurance of knowing it's built by the best and made to last. See pictures and my full review > HERE. Buying DJ equipment - The best digital DJ software for beginners. There are so many choices when it comes to DJ software, some are great, some are really poor. You can get software that can be used on iPhone, iPad, or Android very cheap. You can even get some for free, these are definitely worth a try before shelling out for more expensive software. Mixxx is great and is also free to download! It allows you to control 2 decks whilst mixing, scratching, and looping. You can beatmatch, auto sync, or even auto mix if you're feeling a little lazy. Something I use and highly recommend is a digital vinyl system that allows you to plug in turntables, or CD players and use them to play music directly from your computer. Everybody is different in what they like in digital DJing software but I personally use Serato DJ with the DVS add on. You can get a taster of what to expect by downloading a free version called Serato DJ intro before stepping up to the full package. 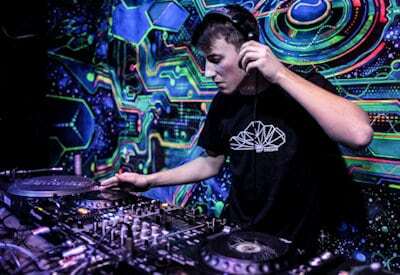 Traktor Pro 2 is another great program, You can See my comparison > HERE. With both of these programs you can plug and play using a bunch of controllers, CD players and turntables. You can then import your music library, set loops, cue points, scratch, and just about anything else a DJ could want to do. As we mentioned Rekordbox earlier I'll just add that this is fantastic software, but it only works with Pioneer products. Something like Serato DJ or Traktor Pro 2 will work with just about any deck, turntable or controller. I recommend active speakers for bedroom DJing and mobile DJ's. Active speakers already have the amplifier built in, so you won't need a separate amplifier. The reason for recommending this to bedroom DJ's is simply because most amplifiers are fan cooled and can be pretty noisy. Plus it takes up more space and costs you more. Active speakers are just easier all-round. You'll want some nice punchy speakers with a good frequency range so you can here all of the highs and lows you are mixing. Something that will handle high volumes for extended periods will also be important. If you're practising to become a club DJ you'll want to practice with high volumes from time to time to get you used to the louder club environment. I've used the JBL LSR308 speakers in my studio for a while now and have nothing but good to say about them. If you need a set of studio speakers these are perfect. If you want to stick with Pioneer, the Pioneer DJ DM-40 have proven to be very good studio monitors for fellow DJ friends. Mobile DJ's will probably prefer active speakers because of transportation. Extra amps and cables make transporting kit and setting up / packing up all that more difficult. See my article here on starting a mobile DJ business here for recommended speakers. Get yourself a decent table or desk to put your set up on. There's nothing worse than the table wobbling around when you're scratching or mixing. Computer desks are usually pretty good, or you can find them specifically designed for DJ's on Amazon etc. One with a laptop stand is definitely recommended even if you won't be digitally DJing just yet, you never know how you'll progress. If you plan on adding vinyl turntables to your set up make sure the desk is wide enough to hold the turntables or CD decks, and a mixer. As we just mentioned vinyl, if you're looking at becoming a battle DJ or scratch DJ you'll definitely consider turntables. You'll have two options..
Option one. You can use them traditionally with vinyl records, which is fun but can get expensive. Vinyl records also take up a lot of space, I'd recommend you just get a small collection to play with. Option two is to use them with software like Serato DVS that we mentioned earlier. If you do fancy some turntables you'll never go wrong with the Technics 1210 or 1200. These are the same turntable, just supplied in different colours. These were the industry standard back in the days before CDJs came along. They proved themselves as super robust, easy to maintain, and the DJ's best friend. I bought a set brand new and never had a single problem with them over thousands of hours use. Technics made a mk6 in 2008 before discontinuing production. So you'll only get them second hand now unless you're very lucky. Don't let them being second hand put you off though as these turntables will play forever if well maintained. If you don't want second hand Technics the best turntable at the moment in 2018 is the Pioneer Pro DJ PLX-1000. The turntable is built with DJ's in mind and has been very well received. With high torque it is perfect for mixing vinyl with or without a DVS and is just great for scratching. All-round a top turntable from the masters of DJ equipment. Check out my top article where I put the Technics 1210 head to head with the Pioneer PLX 1000 > HERE. Pioneer also do the slightly cheaper Pioneer DJ PLX-500 which is also a fantastic turntable. Have fun buying your first set-up! You should now have a good idea of what kit you need to get the fun started. And how buying DJ equipment of a good quality is important. Don't make the mistake a lot of new DJ's make and buy poor quality kit. You'll either regret it almost immediately or outgrow it in no time if it doesn't break first. And when it comes time to sell it you'll get hardly anything back because nobody will want it. If you ever want to sell kit like Pioneer you'll find that it holds on to it's original value better. So a big plus is that you won't lose as much money. It also isn't likely to break or wear out within the first few years. Buying DJ equipment of a higher quality may be more expensive initially.. But you'll save money over time as you won't be buying twice or forking out to fix it. Consider the awesome gear that I've listed in this article. I know it's good because I either own it or have used it. Have fun choosing your first set up. There's nothing like the feeling when that kit turns up at your door and you have a DJ set-up you've dreamed of. All you'll need now is a bunch of your favourite tracks to get the party started. Have fun learning to mix, and check out my article on The top ten tips when learning to mix by clicking here. If you're undecided on whether to mix vinyl or digital track check out > THIS ARTICLE. And don't forget to come back and let me know what kit you bought, and how it's all working for you.